PS: Follow Tádé on his FB! Touch. Die. I got it. Off to the pits. Well, if he footed it, then that's that. What a beautiful bunny. He does seem to be a little rough around the edges behaviour wise though...I mean giving the furniture the foot...really! Oh AJ, if our feet looked half so stylish draped along the cabinet's edge, we would be encouraged--nay, required--to put them on the furniture, don't you agree? 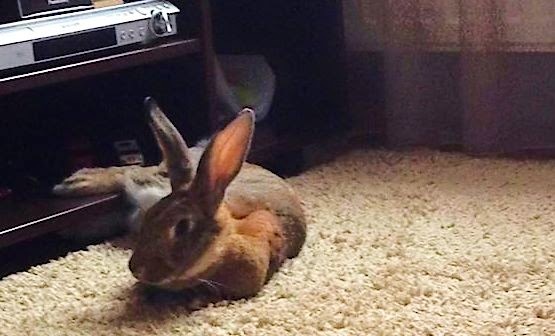 I only regret that I have no personal bun to foot my furniture.